I am so excited to introduce you to a long time friend of mine and successful blogger, Jennifer Saunders (@ihearttalkradio). 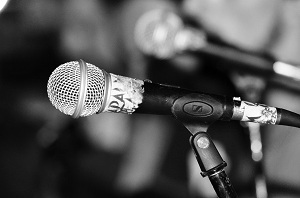 Jennifer blogs over at www.ihearttalkradio.com and has some great information to share. I'm a technical writer and instructional designer at a software company, which allows me to use both the left and right sides of my brain on a daily basis. I have a 12-year old son, Logan, who loves quantum physics and operating systems. (Don't ask.) In my spare time, I listen to talk radio and practice Bikram yoga. And, okay, I do have a slight obsession with Anne Boleyn. (No, she did not have six fingers.) Thank you to my amazing, awesome high school friend, Jennifer Tubbiolo, for asking me to participate in this interview! I hope I don't stink at it. V: How did you get started blogging? V: Why did you decide to start blogging about talk radio? Well, I'm not very well-rounded. Talk radio is pretty much the only thing I know about. It was either talk radio or Coach handbags. And I'm not sure I have enough to say about Coach handbags for a whole blog, except that they're beautiful and I want all of them. V: Can you remember the first time you thought "People are noticing my blog."? Can you tell us about it? V: Have you worked to systematically build your following, or do you feel it just came naturally as you interacted with other players in the talk radio field? I didn't go into blogging with a specific plan to get followers, but I try to stay active with the typical social media – Twitter, Facebook, etc. I do think it is very, very important to post often and consistently. People forget about you when you're not there. However, I admit I'm not the best example of this. But hey, there's always time to improve. Right? V: What advice would you give bloggers just starting to build their following? Don't check your blog statistics more than like 7,000 times a day. Any more often than that is just too much. You need to leave time for important things. Like deciding how many Coach bags you can buy before it becomes a problem. 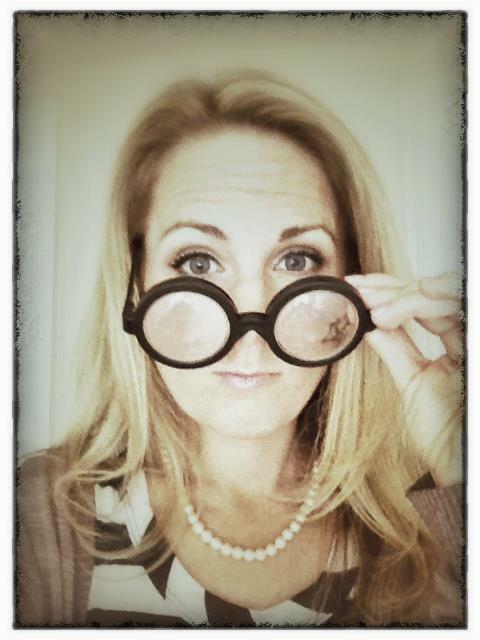 Really, it is so tempting to obsess over hits and page views and referrals; it will make you crazy. Write your blog because you like writing it. Don't worry if an individual post doesn't get the response you expected. The good thing about the Internet is – it'll be there forever! 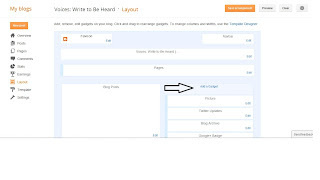 Today, we are going to look more at Blogger Layout. It can be quite intimidating, but once we look at the steps I know it will become much simpler for you to use. We're going to start with adding a Gadget. 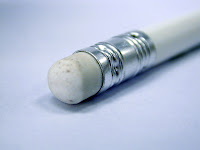 A Gadget, also know as a widget, are basically applications inside of the blog. Like a smart phone has Apps, a blog has gadgets (widgets). There are gadgets for all different types of things. From adding HTML code, to a fish tank, a bible verse of a day, or your twitter feed. So, let's learn how to add a gadget! Once you select layout, you will come to your layout page. The layout page is the skeleton of your blog. Depending on your layout, you can have multiply places for a gadget. Where ever you can place a gadget, has the words "add gadget" its, a quick easy way to know where you gadgets can live. When you select add gadget, another window will pop up and here is the list of gadgets. There are descriptions for every one of them. The good new is, if you don't like a gadget you can remove it! 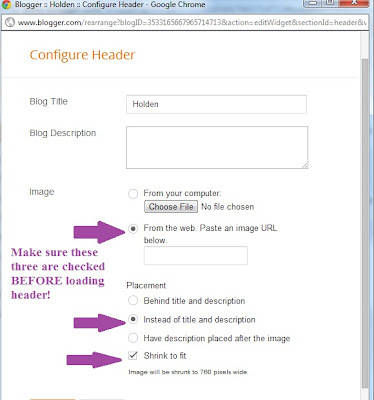 This format of adding gadgets will really help you customize your blog. Go make your little space of the big wide web all yours. Next week we'll be doing blogger buttons! It involves adding gadgets so get some practice in this week! I’ve had several conversations with fellow writers lately about developing a “platform.” The way the publishing industry works these days is that you essentially need a following before you ever publish a book. By having a platform and thus a substantial following you’re guaranteeing at least some people will purchase your book because they already like what you have to say. Have a blog. Even if you’re writing a book, consider starting a blog on the same or related topic. 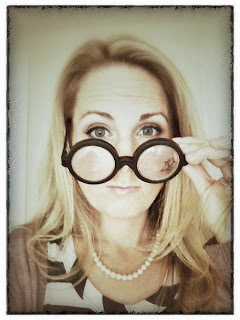 You can try out a few paragraphs from your book or bounce ideas off your blog readers. Be sure to promote your blog on other social media channels. Start tweeting. Don’t be intimidated by Twitter. The most important thing is to interact with others who are tweeting about your subject and who are interested in what you have to say. Twitter is a great place to build community and your brand. Comment on other blogs. Find other blogs on your topic of interest and comment on them. 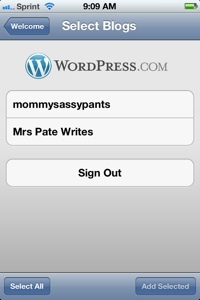 Be sure to include your own blog address and Twitter handle so people can find you. How are you building your platform? What questions about platform can we address here on the Voices blog? The simplest type of header is a photo header. No graphic design is needed and you can change them out as you change. 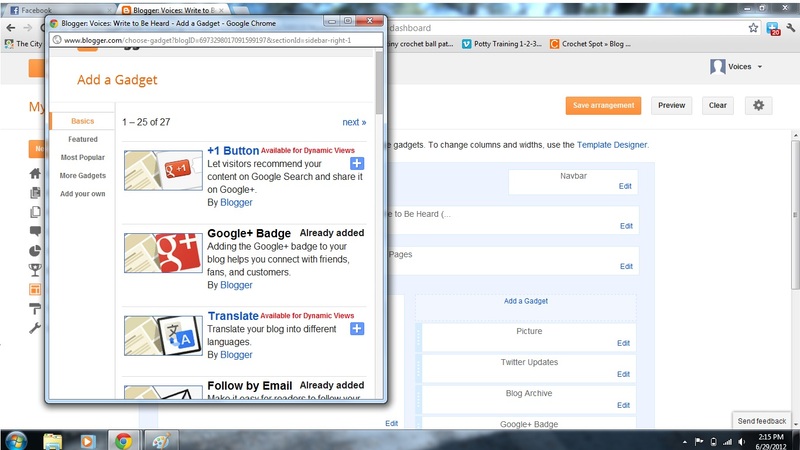 Today I will be showing you how to use Google+ to design your header and how to install it to Blogger. You can use the same technique with just one twist for Wordpress. First we start by opening up Gmail. Click on the More option, and select photo. Click upload new photos, then select photo and chose the image you will like to use. One the image is up loaded, hover over the image with your courser and four icons will appear, click on the pencil icon. From here you can first edit your exposure. The photo I was working with was too dark. Make sure you edit your exposure first. DO NOT CROP PHOTO YET! Next select Text. Choose your text style, color and placement. 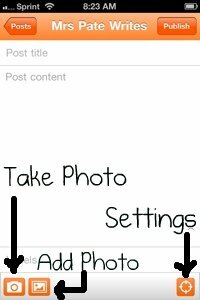 Then you crop photo in to a rectangle shape for the header. Right now dimensions and size does not matter if you are a Blogger user. IF you are a Wordpress user, you have to crop to the dimensions that are predetermined by the layout that you are using. It will tell you the dimensions when you try and upload your header. You will now save your image, skip tagging and skip share. This will take you back to the original Google photo page. 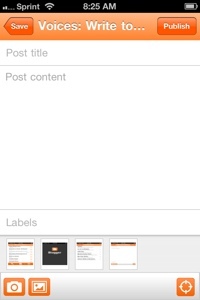 From there you will click on Album tab, where your photo will show up in an album. Click the album, then your actual header. Right click, and select COPY IMAGE URL. Next you will open your Blogger. Select More Options, then Layout. From there you will select Edit on the Header bar. Another screen will appear named, Configure Header. Select, From Web, Instead of Title & Description, and Shrink to Fit. Once ALL of those are selected right click in the box under: Paste an image URL below, and paste. A triangle will appear where the From the Web. Paste and image URL is written. It is Blogger searching for the URL. Once the URL is found the photo of the header will pop up. Then you select Save. side note: sometimes you have to do the upload into blogger more than once. View your blog and your pretty new header! Have a question, or something you want to know how to do? Leave a comment below! Pick one room in your house and describe it in about 300 words. One way to actually improve your writing is to, well, stop writing – at least for little bit. I’m not talking weeks or months but maybe just a day or even a few hours, especially if you’ve found yourself staring at a blinking cursor since breakfast. True, the only way to accomplish anything as a writer is to just sit down and start writing but sometimes writer’s block hits us and we need to step away. Separating yourself from non-stop thinking about your work can give you some clarity and perspective. You also can try talking through your piece with a colleague, spouse or friend. In the course of your conversation you might discover just the spark you need. I once heard a great way to find the most important part of a news story is to pretend like you’re calling your mom, your friend or your husband and then think about the first thing you say. That’s the lead paragraph of your article. A similar principal can apply to all styles of writing: what’s the point of the story? Pausing to think, talk and clear your mind can bring a new spark and creativity to your writing you probably won’t find while staring at your computer screen. Have you taken a break from your writing? Do you talk about your writing with others? How does it help spark your creativity? Hearing those words come out of my six-year old’s innocent little snaggle-toothed mouth made the hair on my neck stand on end. It’s one thing to listen to an adult drop those words, but to hear my child say them was like listening to nails being dragged down a chalkboard. Cringe. I expect wholesome speech from my children, just as I expect it of myself. I want us to be a family that always speaks that which is pleasing to God. But I know from a lifetime of experience that it’s nearly impossible to do so all the time. I’ll have to agree with James when he wrote, “No man can tame the tongue” (James 3:8). It seems that no matter the effort I put forth, I’m always engaged in a battle with this unruly part of my being. And what’s worse is that my ongoing battle is set on a stage, with the audience being my three young impressionable children. To hear them parrot my verbal mishaps is enough to keep me fully engaged in the battle in the pursuit of victory. Daily I fight to bring my tongue from a state of unruliness into a state of complete submission. Sometimes my tongue is like a roaring lion, growling and ready to attack. Other times it’s like a serpent, whispering flattery and little half truths into the ears of those I want to persuade. My tongue has many rebellious sides to it, all of which need to be brought into full subjection. But how does one battle an unruly tongue? It seems like such a small, almost insignificant part of the body, merely good for tasting and swallowing. In actuality, the tongue is so mighty that it holds the power of life and death. It’s so important that the Bible mentions it 160 times. It’s referred to more than our eyes or our ears. For a lump of tissue that’s covered in bumps, the tongue certainly has a substantial resume! It is small but it is mighty. And what’s even more daunting is the lurking truth that the battle to tame the tongue is actually impossible. It seems it cannot be done. In fact, the Bible tells us, “For if we could control our tongues, we would be perfect and could also control ourselves in every other way” (James 3:2). So not only is our tongue powerful enough to hold life and death, it’s uncontrollable. Unstoppable. Unruly. So...Why even bother? So how do we begin this process of allowing the Holy Spirit to tame our tongue? The first step is to understand the authority we’ve been given. As children of God, we've already been empowered to use our tongues wisely. Isaiah tells us that, “The Sovereign Lord has given me a well-instructed tongue, to know the word that sustains the weary.” (Isaiah 50:4). God has already given us everything we need to live a godly life, and that includes owning the power required to tame the tongue. If we ask Him, the Holy Spirit will begin to soften our hearts and make us sensitive to the words that come out of our mouths. As he raises those little red flags for each possible negative use of our tongue, we can then begin to resist the temptation of heading down the wrong verbal path. Spiritual maturity comes from asking Him to show us and then obeying Him when he does. We can and will grow, learning to speak the right words in the right season for the right reason. Then our tongues will be transformed from an unruly, destructive weapon to the wellspring of life that they were intended to be. Below is a list of six Scriptures that address the ungodly uses of the tongue. Each day choose one verse to meditate on and pray through. Ask the Holy Spirit to make you sensitive to the areas where you need grace, forgiveness, and maybe even deliverance. Go ahead. Be the boss of that tongue. And blessings as you do! Father, I pray that you would waken me morning by morning so that I may receive Your instruction. Speak into my life so that I may speak into others’ lives. Show me the areas where I need to tame my tongue so that I may use my mouth as a vessel to bless and encourage those around me. I turn my ear to you today. In Jesus’ name, Amen. Lord, teach me how to be a person who brings grace and flavor to my conversations, without stumbling into gossip, exaggeration, divisiveness, boastfulness, self-deprecation, slander, meddling, betrayal, or complaining. Give me your words of life, joy, and truth to speak as an answer to everyone. In Jesus’ name, Amen. Father, I pray that you would turn my heart from grumbling, arguing, complaining, or anything else along those lines. Show me when my words are headed in that direction and put a muzzle over my mouth. Let no unwholesome talk leave my lips, but only that which is right and true and life-giving. In Jesus’ name, Amen. Lord, I want to be a person of integrity. I want to be someone who has trustworthy things to say. I pray that you would instill in me a disgust for wickedness, that my mouth would only speak that which is true. Turn my heart from deceitfulness, flattery, manipulation, tactlessness, or indiscretion. Replace them with your Truth. In Jesus’ name, Amen. Father, I long to be a person who is known for a strong passion for You. I want to be someone who is characterized by Joy! Give me eyes to see Your hand at work all around me so that I may declare your splendor all day long. Give me a heart of gratefulness, praise, contentment, and thanksgiving. In Jesus’ name, Amen. Lord, I pray that you would give me wisdom to know when to speak and when to stay silent. Give me strength and courage to be a voice of Truth. Show me when to be discreet and when to shed light on injustice. 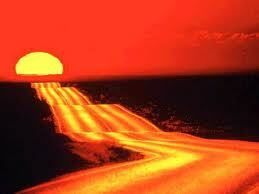 Remove any accusatory tendencies in my heart and check my motives so that I may walk in freedom and truth. In Jesus’ name, Amen. Writing Exercises are helpful with any form of writing from blogging to poetry, they get your creative juices running and hopefully push your writing further. Today I wanted to talk briefly about Free writing! Open your computer, journal, notebook, what ever you write on and just write! Sometimes we get so focused on what were creating, a blog post, the chapter in the book you've been writing, an article that just doesn't seem right yet, we lose the freedom of pure expression. We end up cramping our brains, and need a reset with out even knowing it, so this is our reset. We are going to freewrite for three mins (yes set a timer, and do the three mins!) . Don't pay attention to spelling, sentence structure, grammar, or if what your writing even makes sense, just write! Tell us about the father you admire most. What is your favorite Daddy memory? What are you doing to make this Father’s Day special? A huge part of writing is revising. This is especially true when it comes to longer, more in-depth pieces, such as lengthy magazine articles, short stories and books. Every writer needs an editor to help her develop the flow, point out parts that don’t make sense and simply correct grammatical errors or typos. But before you ask a trusted colleague to read your piece or hire a professional editor, make sure you’ve done a complete self edit. First, give your work some room to breathe. Set it aside for a day or even two and then come back to it with fresh eyes. You’ll be amazed at how much easier it is to find the problem areas. 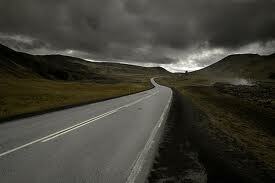 Go through the piece carefully, looking for extraneous or overused words along with trite phrases or clichés. Here’s a great article from The Writer magazine with seven editing questions to ask yourself as you review your piece. One great tip is to read your work aloud. It helps you discover awkward sentences or cumbersome phrasing. What are your tried-and-true editing tips and techniques? Have you ever wondered what it would be like to be loved like that? If you know the story, you know that Jacob actually served fourteen years so he could have Rachel as his wife. Her father had agreed to give Rachel to him after seven years but deceived him on his wedding night by giving his older daughter instead. Rather than responding in hostility for being duped, he agreed to serve another seven years, just for Rachel. He loved her that much! I don’t know about you but there are many times in my relationships that I don’t feel loved like that, much less love like that myself. My love seems so conditional at times as does the love of those that are close to me. I feel loved by my father only when I am making good choices. I can’t believe my husband didn’t put the laundry away after everything I do for him. Surely he doesn’t love me as much as I love him. I don’t want to hug my child because he has made me so incredibly mad that I can’t even look at him much less love him right now. What about you? Do you withhold love or do others withhold it from you when things aren’t perfect? Do you struggle to understand what unconditional love looks like? Would you be willing to serve basically as a slave for fourteen years for those that you love? I am not sure that I could. But here is the truth… Jesus did so much more than that for us and he would have done it just for you if you were the only person on the planet. Being a slave for fourteen years, while it seems grim in comparison to the one day my husband didn’t put the laundry away, it seems like a simple feat compared to what Jesus endured for love. Not only did he come to serve in the name of love he came to die in the name of love. And die a gruesome death at that. Slavery for the love of one woman was a nothing in comparison to the love of Christ for you! Dear Lord. Help me to grasp the vast, unconditional love that you have for me that I might be able to love others the way that you love. In Jesus name. Keeping with the blog "how to" trend I wanted to talk about something that has helped update, and schedule my blog. There is one thing that is important no matter what you blog about, consistent posting. Readers become connected to you, what ever you write, so going two weeks with out posting isn't going to do your blog or your writing any good. Honestly the more you write the better your craft will be. 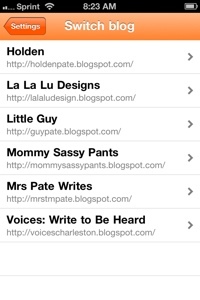 For me, a sahm with two little boys, I need a quick way to assemble post, jot down ideas, and publish on the fly. 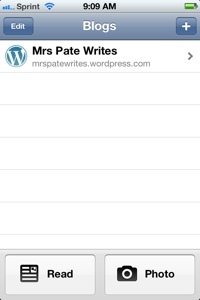 Thus today's How To: The Blogger App. This is going to show you how to use the app on your iPhone. You can use this app on an iPad and Android. If you don't use either don't worry, next week we will be back to a computer based how too. The first thing you want to do is to of course download the app to your phone. Once the app is downloaded (it is free by the way) you will be asked for your log in information. This only happens the first time you open the app. The next screen you open will have your list of blogs. 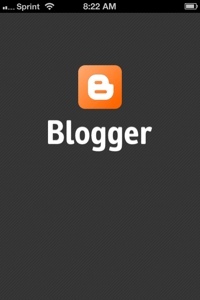 Most people have one, I have a slight "blogession" and have way to many blogs! 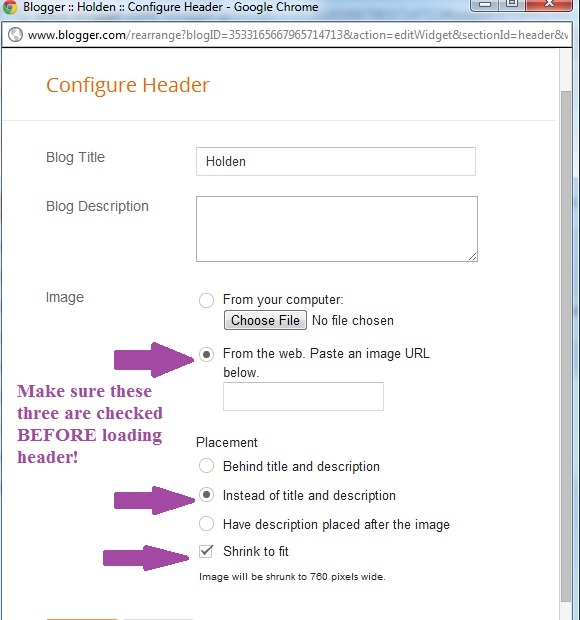 Click on the title of your blog and then your in business. For me, its hard to write a long post on my phone. Between autocorrect and my lack of iPhone typing skills it gets a little dicey sometimes. Now that I know how to add photos straight from my phone, I use it the app with every post. I don't know if your like me, but every photo I take is with my phone. It was time consuming to email every photo to my self, down load it to the computer, and then load it to Blogger. 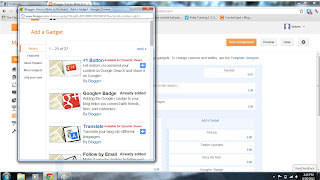 Now I can just go in to Blogger App, add in the photos I want, save it (do not publish it) then add in the text on the computer. The photos appear on the bottom of the screen. Once you have your post finished whether you wrote it on the phone or on the computer, hit publish and voila! If you are using Word Press, there's an App for you also. The Word Press App is on the iPhone and Android platforms. 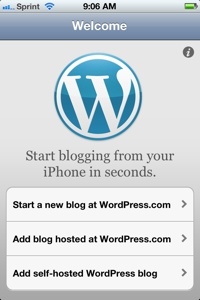 Once the App is down loaded you can start a blog, add to a blog, or even add a self-hosted blog. Word Press then ask for your log in information. 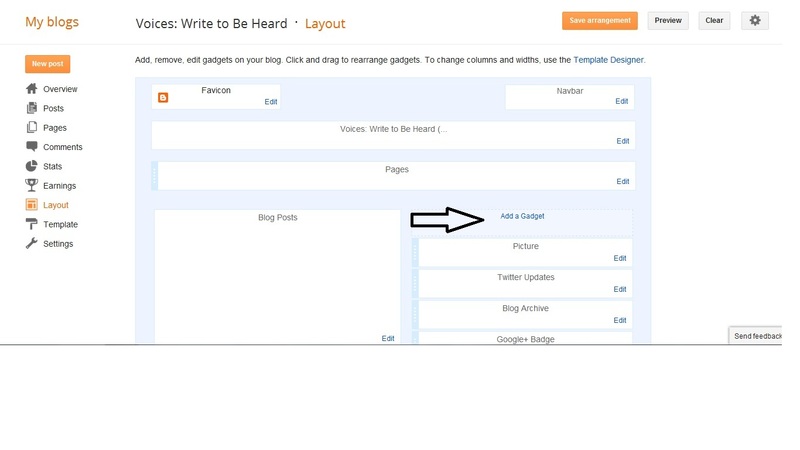 Once logged in you select your blog that you want to edit. Yes, I have to word press blogs also. Select your blog. Then you have the option to read your blog, or by selecting your blog name you can go in and add a post, video, photo, link ect. The thing I like about the Word Press App, is you have more options. 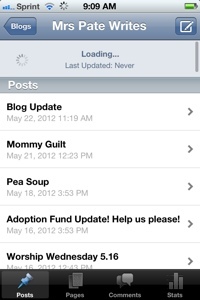 You can check out status, add links, it works more like the actual Word Press Site. I hope all of this helps you ladies out! Have fun posting. Please let me know what you need a How To on!